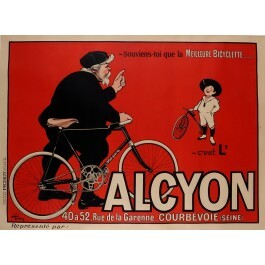 "Remember that Alcyon is the best bicycle there is" is what the venerable grandfather telling his mischievous grandson. The Alcyon was a French bicycle, automobile and motorcycle manufacturer between 1890 and 1957. 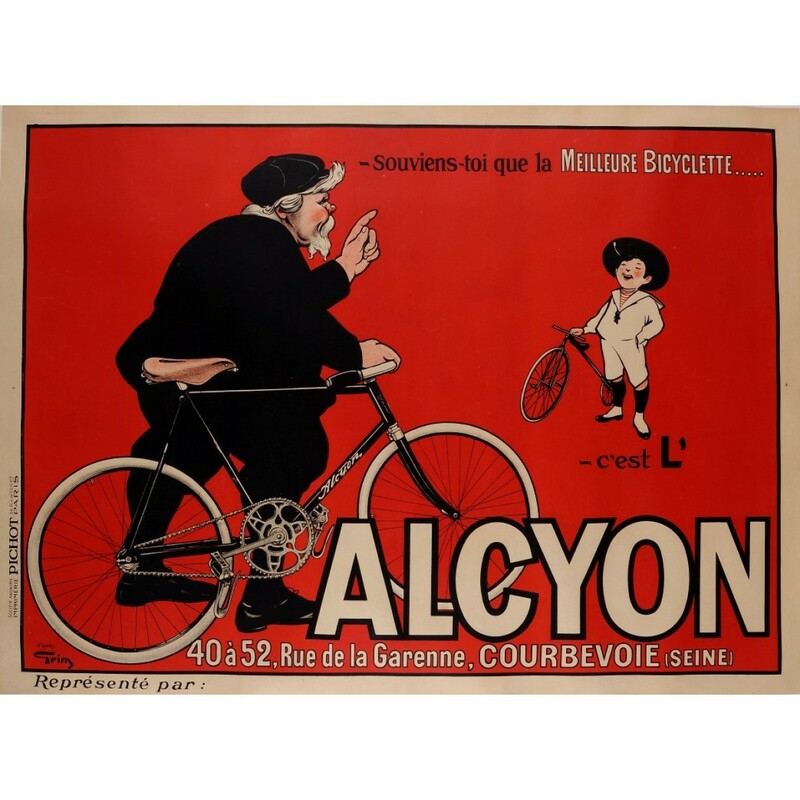 Alcyon originated from about 1890 when Edmond Gentil started the manufacture of bicycles in Neuilly, France. In 1902, this was complemented by motorcycle production and in 1906, the first cars were shown at the Paris Salon. Also in 1906 it founded the professional Alcyon cycling team which was active until 1955, including winning the Tour de France 6 times.